addition to dealing in lands, timber, iron ore, and insurance; he was active in civic and public affairs. his monument, look around you." Twenty-seven-year-old Peter White was possibly the hardest-working man in Marquette. By 1857 he was astore owner, land agent, postmaster, lawyer, county clerk and registrar of deeds, school board treasurer-and a state representative. In 1870, a Michigan banker blew the whistle on the Upper Peninsula iron-mining industry for printing ;iron money & bills in denominations of one to fifty dollars used to meet company payrolls. For violating currency laws the federal gov- fined them more than a million dollars. The huge penalty levied during the depression of 1873 threatened to ruin financially the iron-mining companies. They turned to Peter White a local business man for help, White intern traveled to Washington DC to convince the secretary of the treasury and the Congress that the use of iron money was unavoidable. explained that the iron-mining companies printed money because there were no banks in the area and currency was scarce. The mine owners and employees preferred greenbacks, but the payrolls were too large for the available currency. To get currency, the mining companies were forced to purchase greenbacks in New York, Boston and other cities and have them sent to Marquette. But often payday had to be deferred because the currency did not arrive in time. In winter, White added, the currency became even more scarce because Great Lakes traffic ceased, leaving the Upper Peninsula further isolated from financial centers. A bill canceling the fine was signed into law on March 3, 1875, by President Ulysses S. Grant, White had prevented a financial crisis for Michigan's iron-mining industry. In July 1850, because of his clerking and fine penmanship and formal schooling (most of his fellow workers were illiterate-White was put in charge of the Marquette Iron Company's store at a salary of twenty-four dollars per month. White also continued to clerk and on July 7, 1852, wrote the bill of lading for the first shipment of iron ore to leave the Upper Peninsula-six barrels shipped by the Marquette Iron Company. In May 1853 the Cleveland Iron Company purchased the assets of the Marquette Company and asked White to continue managing the store. The Peter White Public Library is a public library and community center in the City of Marquette, Michigan. 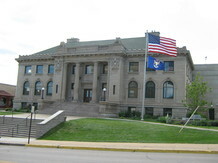 The library building has stood at 217 North Front Street since 1904. 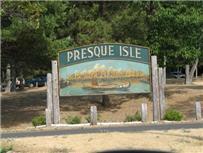 An extensive renovation and addition was completed in 2000. The building also houses the Marquette Arts and Culture Center, and Tu Kaluthia Café. The library is named after Peter White, a local businessman, postmaster, real estate developer, Michigan Congressman, and philanthropist who lived from 1830 – 1908. The shipping Industry in Marquette: Arriving in the Upper Peninsula a penni-less youth, he was present at Marquette's founding in 1849, then grew up with the city. During his life time, Marquette became the leading iron-ore shipping port of the Lake Superior region. White's life is a rags-to-riches story, driven by ambition and achievement. 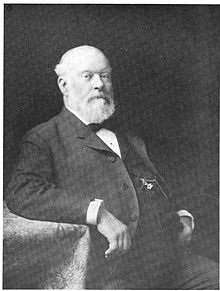 By cultivating business and social opportunities, and by banking Michigan's fledgling iron industry, he acquired a for-tune and considerable power. As a business and civic leader and a public benefactor he left a time when much of the profits of the iron-ore industry went out of state, used his money locally for the civic good. Peter White along with nine other men help clear a area along lake superior for the iron industry to set up a port. PETER QUINTARD WHITE No name is more familiar in the history of Marquette County and the whole Upper Peninsula than that of Peter White. Quite a remarkable feat, considering his meager beginnings in this area. Peter White was born in 1830 in Rome, New York. His family moved to Green bay, Wisconsin when he was a boy. Unhappy at home and in school, White left his family at age fifteen and headed to Mackinac Island. 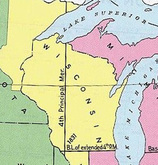 The boundary between Michigan and Wisconsin was first determined in the act that in1836 created Wisconsin Territory. In ignorance of the real geography of the region this act described a supposititious line, under the belief that the Montreal River had its source in Lake Vieux Desert. Then Hon. Peter White of Marquette, Michigan, believing that his state was illegally deprived of the land between the two branches of the Montreal River, had a survey thereof made at his private expense. Through the efforts of Peter White, a bill was passed on July 12, 1886, by the United States Congress deeding the Island to the City of Marquette. White built a road from the City to the park and planted the tall Lombardy poplar trees which line Lakeshore Boulevard.